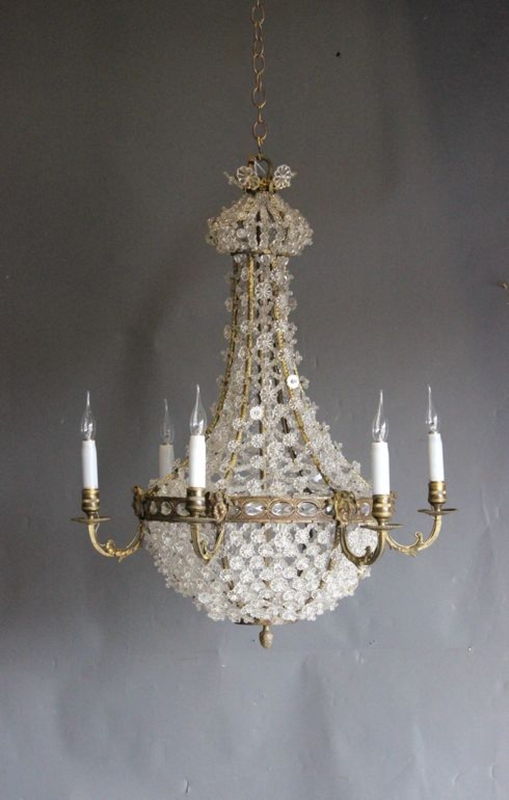 There is often much confusion about antique chandelier terminology. 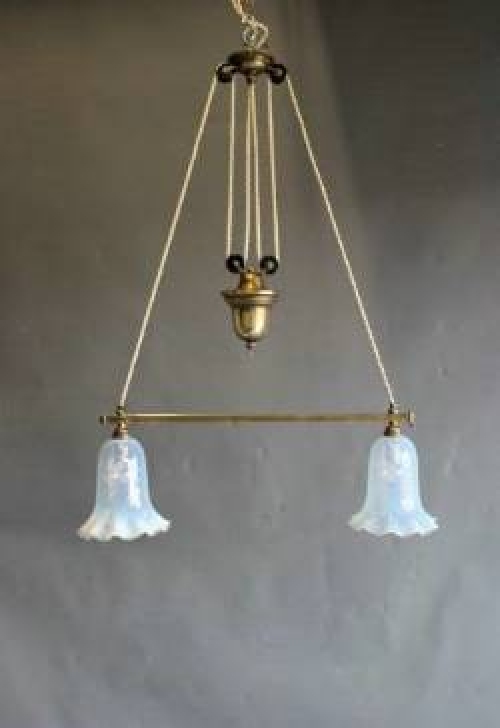 Tent and bag antique chandeliers have a tent structure at the top made often from beads or octagon crystals, and they have a `bag` at the bottom which is enclosed, generally used for gas type lights before 1900 and with internal bulbs quite often thereafter. Tent and waterfall antique chandeliers have a tent at the top as described above and a series of tiers of glass below one tier attached to the next and so on, these often are made of rule pendants (straight pieces of cut glass) on English chandeliers or glass alberts ocasionally. 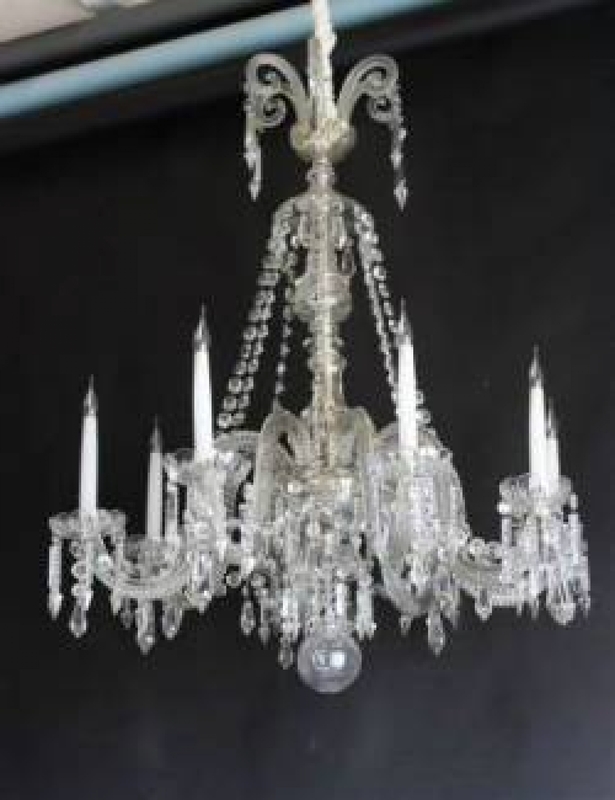 Bulbs are often introduced in the lower tiers of later chandeliers. `Chandelier` means candle carrier and therefore strictly speaking any antique light without arms is not a chandelier and may be variously classed as an `electrolier` (post 1900 often Edwardian with shades pointing downwards). Gasoliers were made in the mid 19th C, their hollow arms often were converted for electricity later but usually they have a very thick central stem and evidence of the splay of pipes which would have taken the gas to the mantles lower down the frame.